When you need to sell your home fast at the price you want, simply listing it with a real estate agent just won’t cut it. Especially, if you need the funds from the sale to go towards buying another house. There are many other things you can do to make your house sellable and attract plenty of offers. Here are 15 top tips for selling your property fast and for top dollar. You need to have a sound knowledge of your property and who you’re selling to. Look at the qualities and features of your property, and then make a list of who you think will live in or buy your property. For example, a ground-floor apartment with a courtyard will be suitable for either a young or an elderly couple, whereas a top-floor apartment with no lift will be more suitable for a young couple or investor. You should get into the mind of your buyers to understand what they’re looking for in a home. 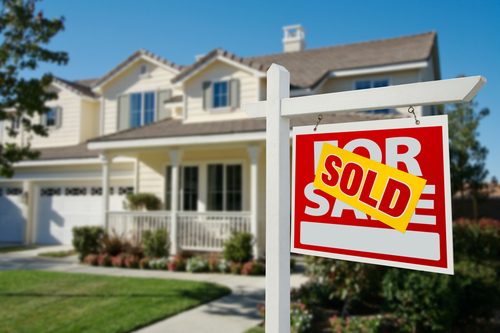 Find a seller’s agent who works in the area where you’re selling your property. If they know about recent properties that have been sold in your suburb, then they’ll know how to best build value in your home and how much it’ll sell for. Also look at how many active buyers they have on their database, as well as how many properties they’ve sold in your street and suburb. Then consider their skill set by asking them how they will sell your house (e.g. auction or private treaty sale) and why and how they’ll protect your price. The quality of information they provide will tell you which agent will bring a difference to your sale. It’s best to sell near the end of winter and start of spring (or more precisely in July), as more buyers will be house-hunting during this time while sellers are still hibernating. Selling in spring when the days are longer and sunnier can make the house look better and buyers can be in a better spending mood in warmer weather. However, this means more properties will be on the market and you’ll have to work harder to get buyers’ attention and sell your home at top price. Do some research on the area where you’re selling your property. Factors to consider include location, aspect, noise levels, traffic, local amenities, neighbours and schools. Also consider the local market’s current state and market demand (e.g. are properties with a similar price to yours selling quickly or not?). Additionally, if you set a higher price than other houses that are also trying to sell in your suburb, no one will want to buy. So make sure that your sale price matches those of similar properties in the area. When you first launch your property into the marketplace, home buyers will become excited (especially those who’ve been searching for a long time for the right property) and make a stronger bid or offer because they want to get on board before the competition catches up. But this usually only happens in the first 30 days, meaning that you’ll find more of your best, qualified buyers within this period. So, it’s important that you don’t reject a good bid or offer in the early stages. If you don’t get any bids or offers at all or they’re too low during the first two weeks, it’s because your price is too high. To solve this, adjust your price early. You can figure out how much your home’s actually worth by talking to your agent or getting feedback from buyers. Keep in mind, however, that buyers who have an interest in your home may give a lower price because they’re interested. As mentioned above, it’s essential that you set a realistic sale price from day one. First impressions count, so do everything you can to make your property stand out in a good way from the get-go. Your home should look neat, clean and well-looked after, as well as be presented in a way that any buyer can instantly connect with and imagine as their dream home. Cleaning – Clean the house inside and out, back and front. If you have pets, get someone to take care of them during the sales campaign and then get rid of their lingering scent. It’s important that your property is free of odour and smells pleasant. Decluttering – Get rid of broken or unnecessary items and hide any personal belongings. Also keep furniture to a minimum. 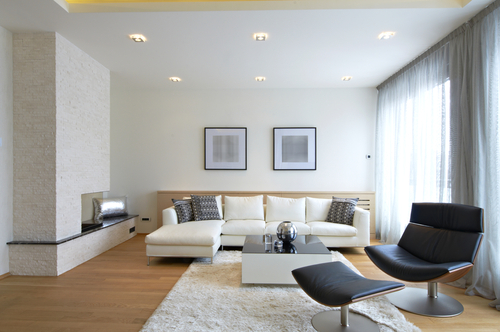 Buyers need to be able to move freely throughout the house without bumping into things. Styling – Get a professional to style your home and bring it to life with a wow factor. Styling can maximise appearance of space and flow, creating a feeling that will make people want to buy the property. Street appeal – The front of the house is the most important aspect of your property, as this is what buyers first see. So make it look presentable and attractive by washing it with a high-pressure hose, which will remove cobwebs and dust and freshen up pavers. Repairs – Get rid of dampness and moisture, fix sticky doors and windows and seal or replace cracked glass. Also make sure that exterior lighting works, so that you can keep them on at night for buyers who are house-hunting during this time. A well-presented property can be expected to gain 5% or 10% more than a reasonable asking price. Have a professional inspect the property for any structural problems and for any termites or woodworm infestation. Building/pest inspection reports will help your property sell quicker as buyers can see that you’re not hiding anything. It also means they don’t have to organise these themselves, which may take more time. Getting your property inspected can help you identify any problems that you should fix prior to selling and avoid receiving a shock when a buyer reports issues with the house. Keep in mind that most buyers prefer properties that aren’t renovated because they think they can get the property at a cheaper price. They also want to make the place their own. Moreover, there’s a lot of demand for unrenovated properties, which creates competition and thus drives the prices up. However, if your property needs to be renovated to maximise your sale price, then go ahead. If you have an outdated apartment or one that’s located at the back of the building, has no aspect and faces west, then a complete renovation may just be the trick to selling your home quickly at your desired price. It’s important that you market your property effectively to garner interest from potential buyers. 90% of buyers use the internet to search for properties, so it should be your first avenue. Post 5-6 photos of your property along with copy that presents your property in the best possible light and grabs buyers’ attention in the first 5-10 seconds. Highlight important features of your property to get people to register for a viewing. But don’t show or write about everything in the house – leave buyers excited up until viewing day. Other ways to market your property include advertising in newspapers, neighbourhood campaigns, mail-outs, signage, editorial features, virtual tours, open houses and working with your agent. This will help you reach a lot of people and therefore get the best buyer and best price for your property. Property viewings usually take 15 minutes, where your agent will show your house to potential buyers and answer their questions. It’s best that you’re not present during the viewing, as it can distract buyers from imagining themselves living there. But if you do attend, your agent should really be the one talking and engaging with the buyers. You can have more than one property viewing until you find the most lucrative buyer. This can be a deal maker or deal breaker. The unique selling propositions that you mentioned in your marketing campaign should be there for the buyers to see in your property. For example, if you mentioned that you have child-friendly living spaces, there shouldn’t be any fixed furniture or pointed/hazardous features that contradict your claim. If buyers don’t get what they expected from the advertising, not only will it frustrate them, but it’ll also probably turn them away from buying your property. Sell through a private treaty or auction? If you sell through a private treaty, you set the asking price and then wait for someone who wants to buy. When there are interested buyers, they will make offers until you agree to a certain price. On the other hand, an auction will help create a sense of urgency and intensity around the sale, which will force people to make decisions and increase the level of emotional buying. As a result, your property can sell faster and for a much higher price. Once you’ve found a buyer offering your desired price, you’ll want to progress the sale as quickly as possible. If a buyer wants a short or long settlement, you should be prepared to make an agreement after discussing it with your agent beforehand. This will save time and help your agent to seal a deal quickly. Sometimes, negotiations can be slowed down by buyers who request that changes be made to the contract to reflect the inclusions of the property. You can ease this problem by giving your solicitor/conveyancer a thorough list of inclusions from the start. The final and most important thing about selling a property fast is to be relaxed about it. Just do your best, ensuring that you’ve done everything you can to position and market your home right and choose the best agent. Once everything is ready, just sit back and relax and work with your agent. Let them do their job and try to understand the market and you should be able to sell your property within 30 days at the price you want. Do you need bridging finance? If you need money while you’re waiting for your home to sell, consider getting bridging finance (a short-term loan). This has a monthly interest rate of 1.5-3% and the money can be transferred to your account in just a few days. To be eligible, you’ll need equity in your property and a good exit strategy, which is the sale of your property. The finance is secured against the value of your property by a first/second mortgage or a caveat. You can borrow 65-75% of the security value, allowing you to access the equity in your property.